Please note that this is an example of a typical option 1 play track. 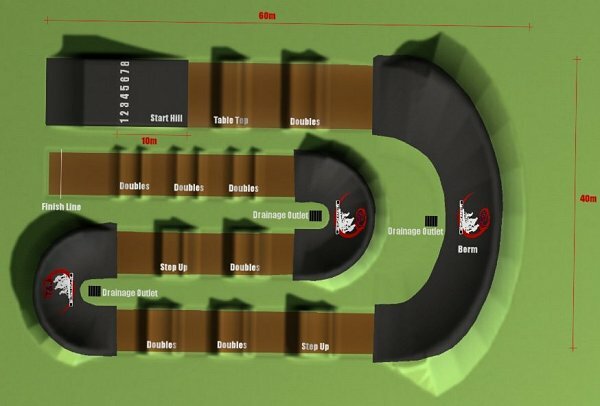 Please note that this is an example of a typical option 2 play track. 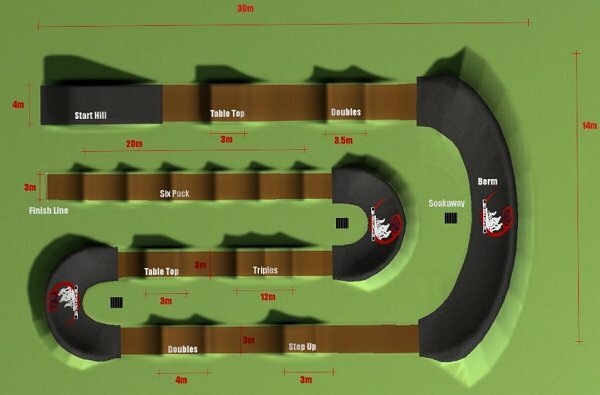 Click Here for a stage by stage case study of a typical Option 2 play track. Other features:- Manual start gate, tarmac hill, concrete pad. Please note that this is an example of a typical option 3 play track.